Our home is so important to our happiness. When I started house hunting six weeks ago I was honestly dreading it. I put on my brave face and logged onto Daft.ie. Where would I find a house that was going to be my home? There were moments when I laughed and moments when I was ready to cry, but some stories just have to be shared ….. There was the house which was a converted B&B. On arriving I wasn’t sure as I would be sharing a home that had been divided. I am a free spirit and I like my privacy, but considering the lack of housing in Galway I had to keep an open mind (I just didn’t realise how open it needed to be). He showed me around the house which wasn’t too bad. Two bedrooms, both en suite, a little sitting room and a tiny kitchen. I was clean and I was thinking that perhaps I could make it work. Then I saw that the dividing door between the two houses was glass! I had a vision of myself nipping into the kitchen wrapped in my bath towel to make a cuppa, as I often do this! I commented on the glass door and the gentleman honestly seemed shocked that it would be a problem. I was still pondering where I would do my arty crafty stuff. There was one door next to the kitchen that hadn’t been revealed. I asked about it and he promptly replied that it was his bathroom, in my potential house! I must have looked terribly shocked. ‘I am very discreet’ he said. ‘I won’t use the bathroom until you have gone to work.’ I didn’t really know what to say. He was asking premium money to rent a house in which he would be doing his bathroom business. Being I positive person, I ventured back onto Daft. Ooh look a new property! Five minutes from work and it looked gorgeous and more to the point was within my budget. I was buzzing this was going to be it. It was small but really well fitted out. A gorgeous curved red sofa and some sparkling mosaic in the bathroom. I showed it to a friend and she recognised the development straight away. Off I went at lunch time. I arrived and was greeted by a staircase with a carpet that was unravelling. The smell of mould and damp greeted my nostrils. I was told that the house was available as it stood (in other words no upgrades). A broken single bed occupied the main bedroom, black mould on the bathroom walls and no red sofa. The sofa that was in place had seen plenty of action, that I really didn’t want to think about. There was also no mosaic in the bathroom. When I questioned the landlady she was quite indignant. ‘ I need to know if I should add you to the list before 5pm,’ she said. This was not the same apartment in the photos! With a heavy heard and a small bit of frustration I returned to looking. Happily I do have a new home to move into. It came through a thoughtful colleague from my previous job. He has heard me bemoaning the house hunting task. ‘Call this lady, and use my name’ he said. 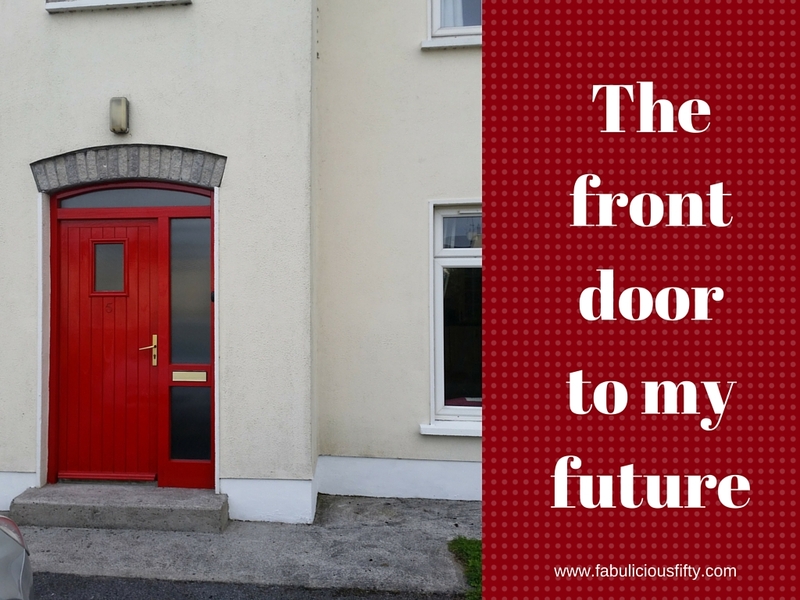 I am delighted with my new house in the little town of Athenry in County Galway. I move in next week. Thanks for listening to me rant about house hunting. Having a similarly miserable time of it in Cork but yet to find a place just yet – lots of broken hearted looking so far and running out of time! Glad you found a place you love!